The extension for scrap metal management is enveloped with a double-panel, which consists of two panel layers and air chambers. 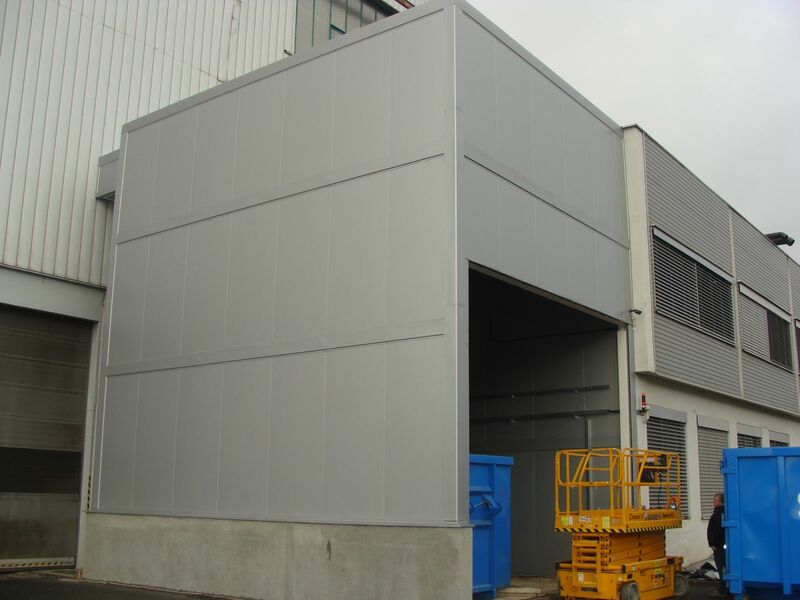 The size of the extension is 8.3 m x 6.4 m and the height is 9.2 m. Three walls of the panels are attached to a steel structure and the fourth wall is attached to the existing envelope which is panelled using the same type of panel but with added mineral insulation because of the offices located in the building. The so-called "clouds" are suspended from the ceiling to improve sound absorption.